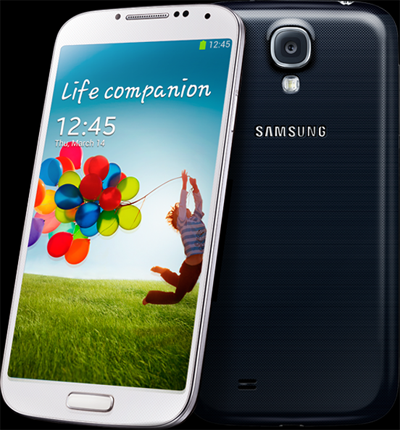 Home » Will your Galaxy S4 really be a Galaxy S4? Whats the difference, and why have multiple variants again? The difference is that the SGH-i337/i545 uses a Qualcomm Snapdragon 600 quad-core SoC and the GT-i9500 uses the Samsung Exynos 5 Octa 5410. Same reason as the last time, LTE network compatibility. While it is true that Samsung does have some LTE ready in house chipsets(as seen on the Note II), they chose not to use them for the new Galaxy S.
While both handset will most likely perform similarly for most users, those who push their devices will begin to see the difference in performance. The more important impact for the consumer is not the performance in this case though, it is the fact that a version that is unique to one territory is likely to get the same kind of software update attention as the main version of the unit. This will most likely lead to the continued trend of units taking month if not longer to get an update pushed by Samsung. Add on to that already delayed update, the time it takes the carrier to modify and approve for a branded device. One can quickly see how their variant of a device can become quite frustrating when it comes to updates. For those with existing Galaxy S devices in the USA, this is nothing new. This is a trend that Samsung started a few years ago and seems to have no intention on stopping. If updates are important to you, I recommend getting the GT-i9500 (assuming of course that you use a GSM/HSDPA based carrier); however, if LTE is your primary interest then get the SGH-i337/i545. With the later, just be prepared to wait forever for OS updates (if they show up at all).